Better than new, this one year old custom home features a spectacular open floor plan that welcomes you from the minute you walk in through the double 5' mahogany doors. 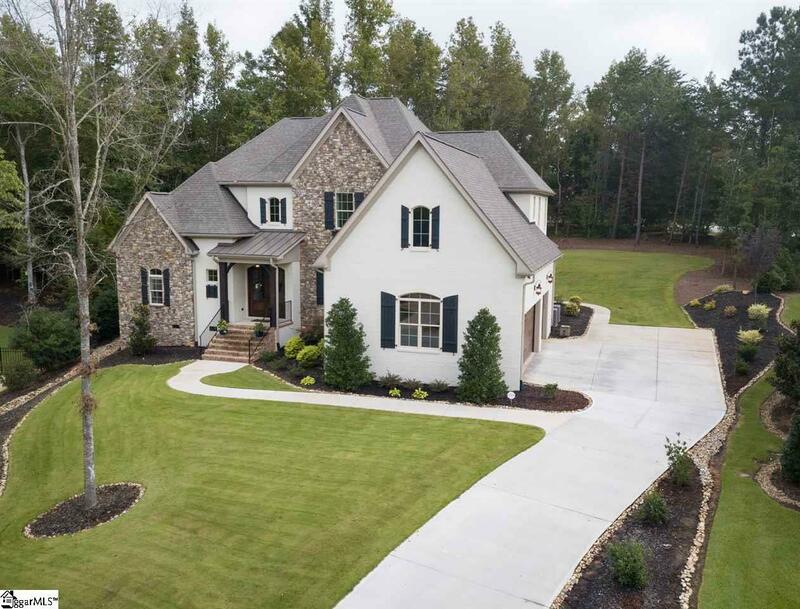 This French County, Arthur Rutenberg, "Asheville Model" home offers a spacious and open floor plan with a contemporary theme. The elegant design makes this home truly breathtaking inside and out. At the heart of the this exceptional home, you'll find an expansive Great Room that opens to a luxurious kitchen. The heart of the kitchen features bright white cabinetry ,quartz counter tops, glass tile back splash , stainless appliances, and an expansive island with abundant seating for casual dining, and enough counter space to serve as a buffet for a large formal or informal gatherings. The Great room's french door's can easily be opened blending the outdoor living with interior comfort, making the core of this home ideal for entertaining guests. The large E-Zee-Breeze porch (three season room) is private and overlooks the wooded back yard. Additionally, the first floor includes a luxurious Owner's suite with large closet, dual vanities, and elegant walk-in shower. The second level opens up to a spacious Club Room/Game Room with pocket doors, three additional bedrooms all with walk-in closets and on-suites, and a large step down Bonus perfect for gym or extra storage space. The overall design of this incredible home is exactly what buyers are looking for, without having to build it. Why build when you can move right in?